We raise New Zealand rabbits. We have red, blue, black, white and steel (black with brown tips). They have been bred over the generations to be a fast growing and meaty animal. These should process out to about 50% of their live weight. The numbers below may change due to normal litter fatality or availablility. They will generally weigh about five pounds at ten weeks and grow to their adult weight of 10-11 pounds by about 6 months. These are general estimates as some will grow faster than others. 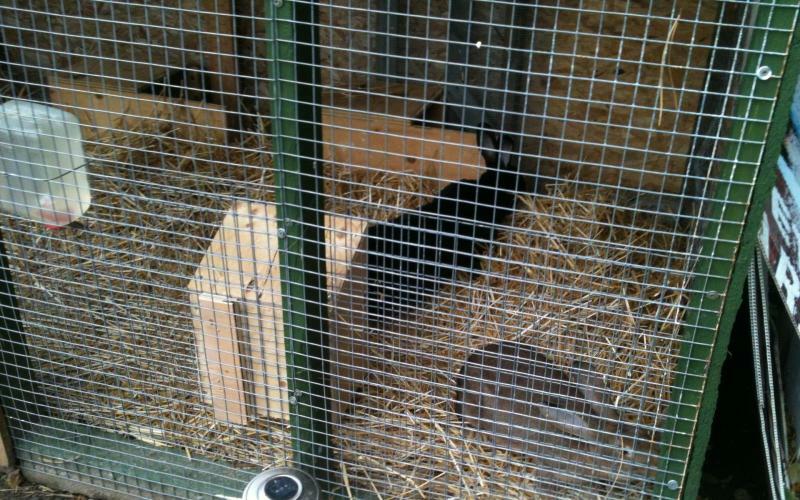 Our rabbits are raised together in a colony setting with a deep straw bedding that is changed regularly to ensure a clean and dry environment. They are raised on a commercial pellet diet with fresh greens as are seasonally available. Other Rabbit products will be available from time to time such as furs, feet and tails.